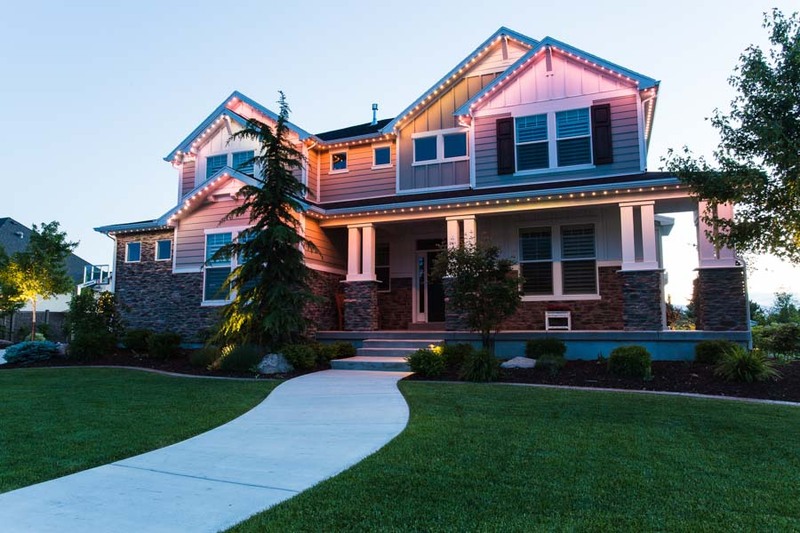 When you are considering improving your homeÕs exterior aesthetics with custom lighting, LED lighting can represent the ideal lights for your needs. The level of lighting customization, coupled with the durability and energy efficiency of the lights make them perfect for Canadian homes of any size and style. Other lighting styles can crack under colder temperatures, burn out sooner and require more energy to run effectively. When planning to light your homeÕs exterior, contact a professional exterior lighting contractor for LED light installation services, to receive these following benefits. LED lights can last for decades while being used daily. Utilizing your LED lights for 8 hours a day allows the system to provide up to 20 years of use. This lifespan is roughly 3-5 times longer than a traditional bulb. LED lights also differ from standard lighting, as rather than burning out, the bulbs simply become slightly less bright and can be efficiently replaced with professional services. LED lights are a long-term home lighting investment that pays off in a variety of ways. Canadian weather can often result in damage incandescent bulbs and extreme temperatures can damage the element inside a traditional bulb. This is not the case with LED lights. LED lights are shock resistant, and can remain operational in the coldest of temperatures. LED lights are wind and hail resistant so that they harsh weather conditions will not damage the system. This durability will require much less maintenance for your external lighting system, providing homeowners savings in both time and money. LED lights are considered to be the most energy efficient lighting systems on the market. Traditional light bulbs only utilize 20% of their energy output as light while the rest is emitted as heat. An LED lighting system flips that conversion rate as 80% of the energy is emitted as light and merely 20% is lost in the conversion processes or emitted as heat. LED lights can save homeowners 4 fifths of the proposed energy bill increases from an exterior lighting project. When considering these energy efficiency benefits, coupled with the long lifespan, and durability of LED lights, it is clear that LED lights will result in major savings for homeowners. LED lighting can offer a range of design features and flexible lighting controls, which can make them ideal for special events, holidays and daily use. LED lights can be individually dimmed, or entire systems can be dimmed to provide a high level of lighting control and a more relaxing mood around the home for parties and dinners. LED lighting can also utilize RGB lighting systems to change colours for variable holidays or other events. The personalized designs and variable uses of LED lights are major advantages of the systems. LED lights are not made with any toxic chemicals. The lighting systems are 100% recyclable. LED lights also last much longer than a traditional lighting system, providing far fewer materials to be recycled from a comparable system. The lifespan and clean product design of LED lights, combined with the variety of other benefits make these lights a far superior choice to traditional incandescent lights for your exterior lighting system.